Participating in the Blitz the Bay Club Challenge will also earn you Club Drops! 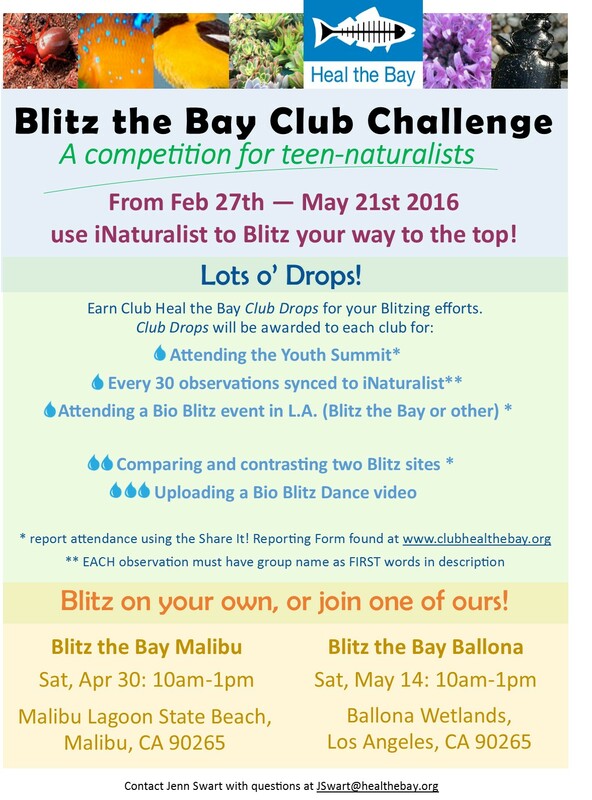 Your middle or high school club or group must notify Jenn Swart (jswart@healthebay.org) of your club’s name. 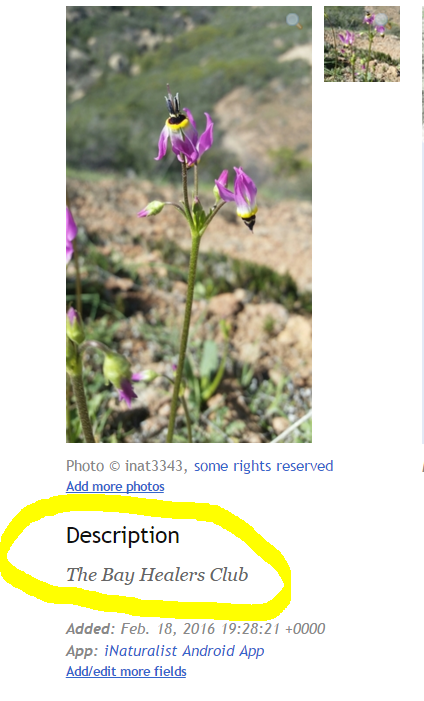 Upload as many observations* and species as you can from Feb 27th to May 21st to win prizes.